A two-year research project has begun to understand the species, populations and ranges of local bats that are considered species-at-risk. The Georgian Bay Biosphere Reserve is undertaking a broad survey as a first step in strengthening the knowledge base for biologists and the public concerning bats in eastern Georgian Bay. 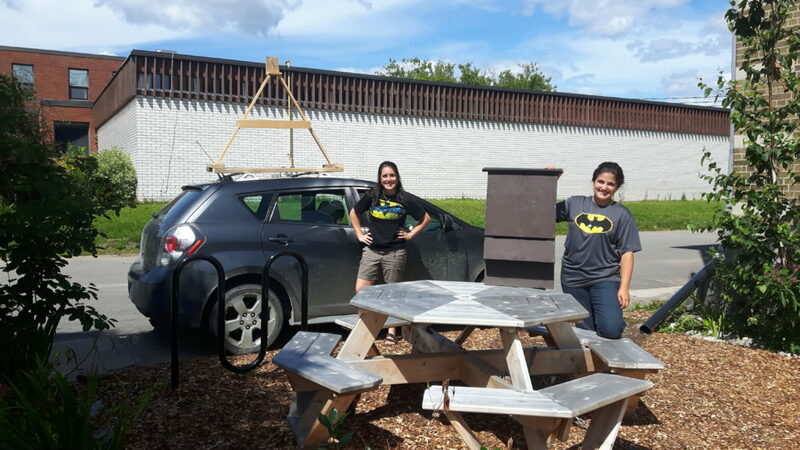 For this project, a “bat mobile” is equipped with a wooden tripod on the roof and acoustic monitoring equipment to record high-frequency bat ‘chirps’ emitted as part of bat’s echolocation. The two-hour surveys begin at dusk along area roadsides. Eight of the world’s 1,300 bat species call Ontario home. Insect-eating bats, like our local species, catch their food on the wing – they scoop up moths, crickets, beetles, and mosquitoes. A bat can consume over 100% of its body weight during a summer night, providing natural pest control for people and playing an essential role in our ecosystems. Four of Ontario’s bat species are now endangered including: little brown myotis, northern myotis, tri-coloured and eastern small-footed bats. These species experienced mass die-off because of white-nosed syndrome – a fungus introduced to North America from Europe. The fungus grows in humid and cold environments, such as caves. An infected bat wakes up frequently during hibernation. This depletes their fat stores and the bat emerges too early from hibernation to seek food. These bats usually succumb to freezing or starvation. At some hibernation sites, white-nosed syndrome has wiped out over 90 percent of local populations. To report bat sightings or share information on bat house locations, please contact Delaina at [email protected] or 705.774.0978. For information on other local species at risk, visit www.gbbr.ca. This project is funded by the Ontario Species at Risk Stewardship Fund from the Ontario Ministry of Natural Resources and Forestry (OMNRF) and Environment & Climate Change Canada’s Habitat Stewardship Program for Species at Risk.